An application has been submitted to convert 189 Hotel Rooms into 219 residential rental units at the Harbour Towers hotel in the community of James Bay in Victoria BC. The new owners are proposing to use the ~ 40,000 sqft property as a purpose built rental building with an FSR of 4.16. The property was divested by a Victoria based pension fund manager in August 2015 for $23,000,000 to Realstar Group of Toronto. The asset no longer appears on bcIMC’s investment inventory list for March 31, 2016. Silverbirch Hotels managed the hospitality asset for the pension fund ownership group. In 2015 the pension fund trimmed its Delta hospitality portfolio to Marriott Hotels due to the compressed CAP rate environment for Canadian hospitality assets. The Delta hotels were a higher risk asset class in the real estate portfolio, with significant capex requirements and volatile RevPAR performance. This property has changed hands a few times. Previous owners include CHIP REIT. The rental suite sizes will range from 279 sqft up to 1,200 sqft. This is a growing trend in the Greater Victoria area. 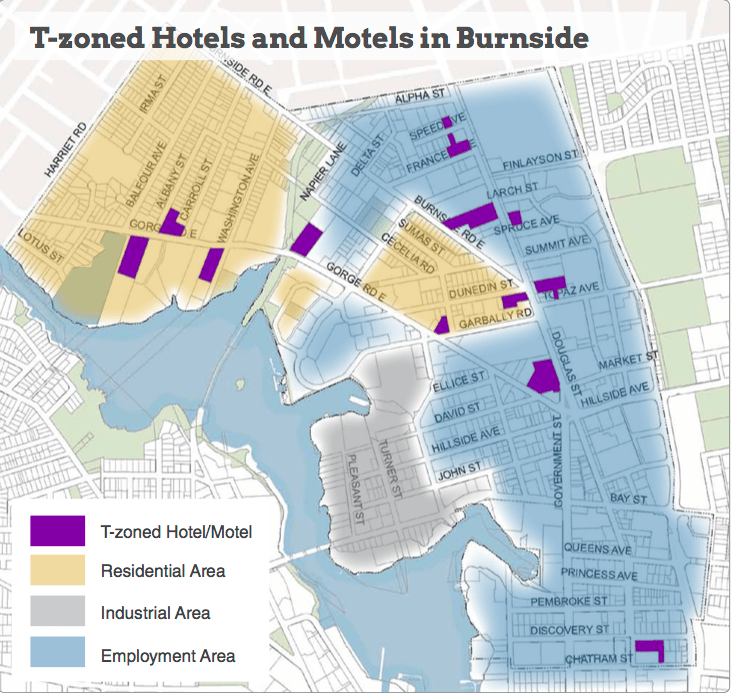 Hotels will continue to convert to multi-family residential in the downtown core and the T-zoned Hotels and Motels in the Burnside Gorge area. About 800 hotel rooms have gone offline in Victoria over the past 10 years. This is a reflection of strong rental market demand in the city of Victoria. The latest vacancy rate in the core was 0.5%, even more compressed than Vancouver’s west end neighbourhood which clocked in at 0.6%. Dustin Miller has access to a variety of exclusive hotel listings across Vancouver Island and the lower mainland. Contact him for more information.